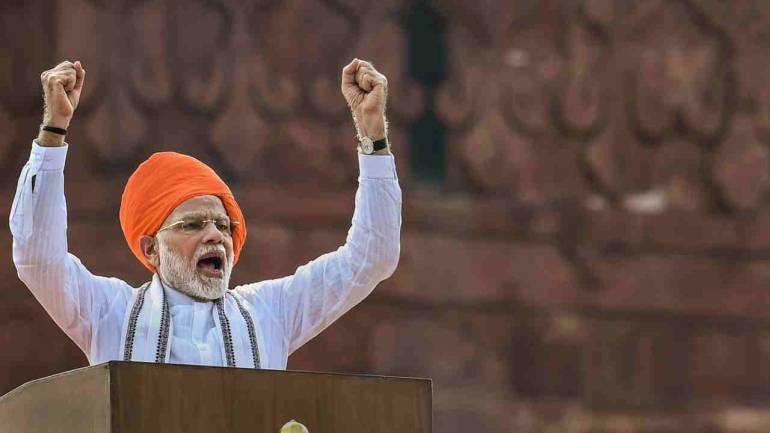 Women officers recruited under the short service commission in the armed forces will get opportunity for permanent employment like their male counterparts, Prime Minister Narendra Modi announced today in his Independence Day address. The prime minister, however, did not give any indication whether permanent commissioning of women will pave the way for their entry into the combat positions in the Army and the Navy. The Indian Air Force has already allowed women fighter pilots. Till now, women officers, who had joined the armed forces as part of the Short Service Commission (SSC), were not allowed to seek permanent commissioning. “Women officers of Short Service Commission in the armed forces would now be eligible for permanent commission through a transparent selection process like their male counterparts,” the prime minister said in his address from the ramparts of the Red Fort. Official sources said government is likely to come out with a comprehensive policy on permanent commissioning of women in the Army, Navy and the Indian Air Force. All the three services have opened permanent commission (PC) of women in education, legal, signals, engineering and several other streams. In April, the Centre had told the Supreme Court that it was considering granting permanent commission to short service commission women Army officers. A group of women Army officers recruited under SSC scheme had approached courts seeking PC status. Majority of women recruits in the Army are short-service commission (SSC) officers and they have a maximum tenure of 14 years.